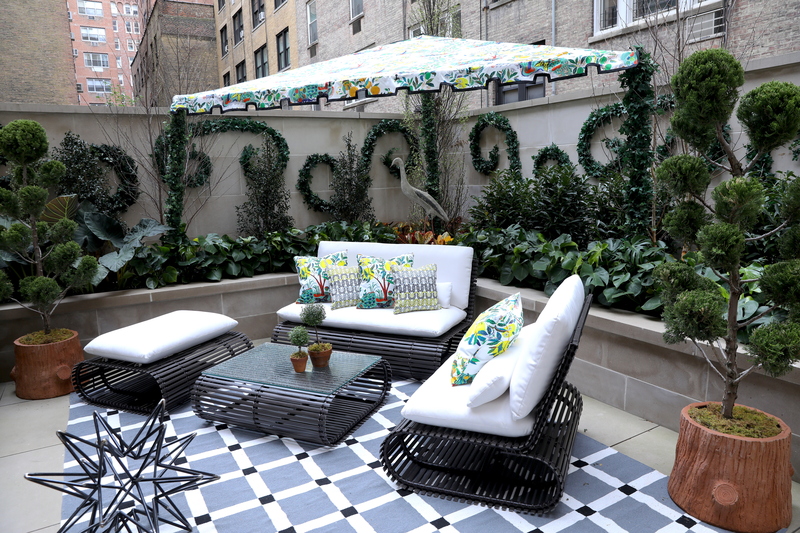 These Florida-based landscape architects gave a NYC rooftop space the Floridian garden treatment at the 2018 Kips Bay Decorator Show House. Palm Beach-based design partners Mario Nievera and Keith Williams have brought a warm and inviting piece of sunny Florida to the middle of New York City. 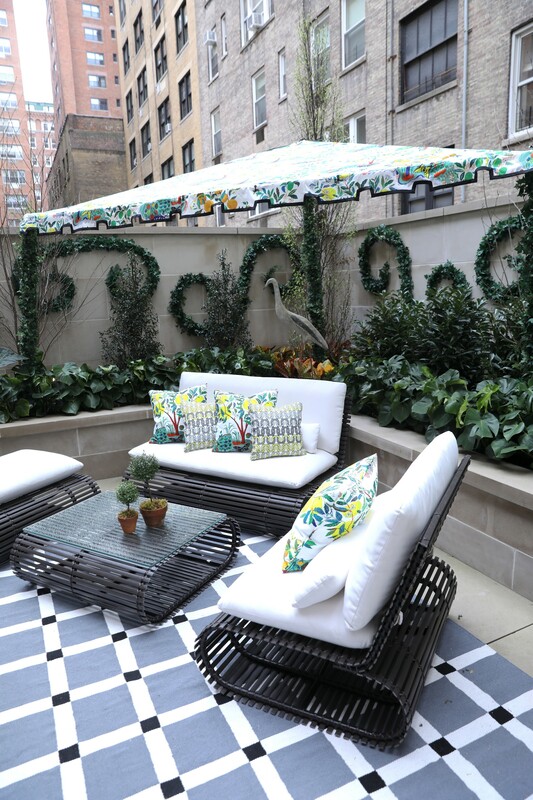 Their landscape architecture firm, Nievera Williams Design, created the Garden Terrace for the 2018 Kips Bay Decorator Show House. This is an annual event which invites top industry designers to transform a luxury Manhattan brownstone building, which attracts home design enthusiasts to come tour the spot, and in turn, raises funds to support the Kips Bay Boys & Girls Club. 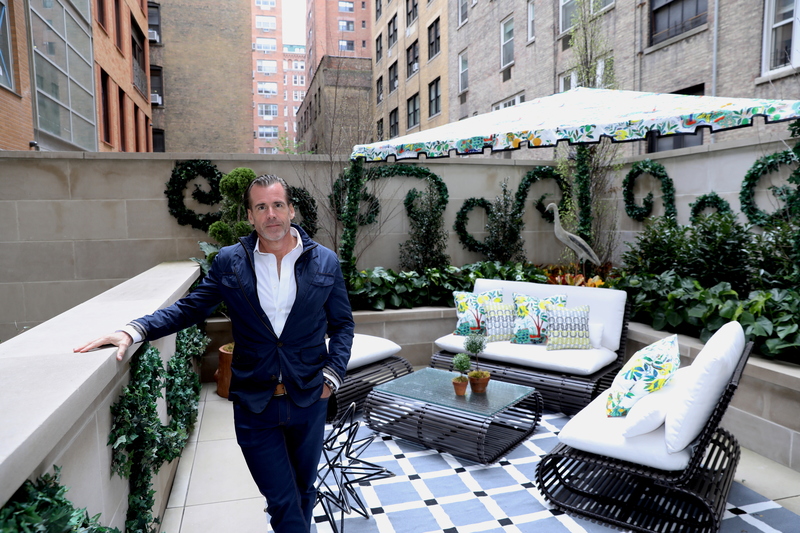 House Tipster had the wonderful opportunity to speak with Keith Williams at the 2018 Show House’s VIP unveiling event in Manhattan, where he was able to explain the driving forces behind his firm’s creative design. This bright and tropical rooftop space is inspired by Schumacher’s ‘Citrus Garden’ pattern originally designed by Josef Frank in 1947. The team collaborated with the fabric and wallpaper retailer to create a modern oasis, full of lush plants, climbing vines, and colorful cartoon-like accent fabrics. 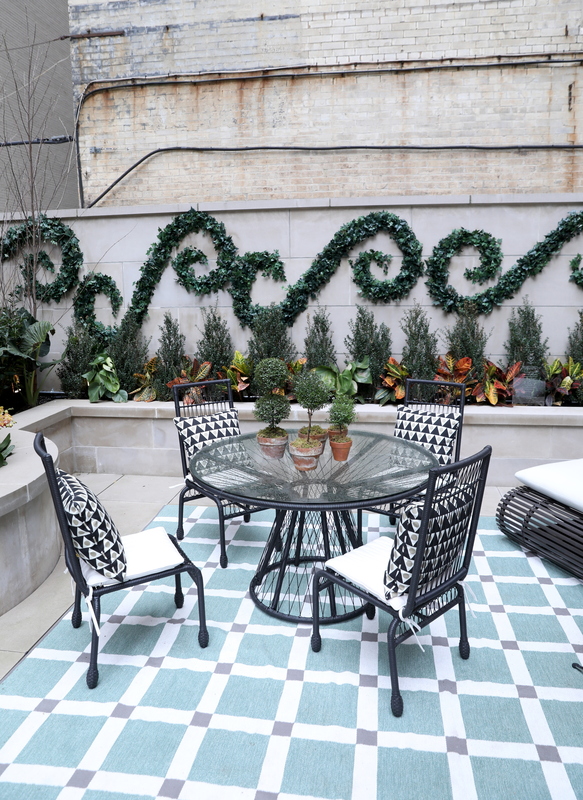 Nievera Williams Design mixed pre-existing stone detailing of the Manhattan space with lively accessories and sphered topiary plants for a one-of-a-kind patio garden. It’s NYC meets Palm Beach, for sure. Williams is not only rightfully proud of the Nievera Williams Design space at the house, but he is happy to be supporting a cause close to his heart through this design work. Since the Show House’s beginning in 1973, the annual event has raised over $21,000,000 for the Kips Bay Boys & Girls Club, which provides after-school programs and resources for over 10,000 kids throughout the Bronx. We are so proud of the way this firm has contributed to the cause! You can tour the Kips Bay Decorator Show House for yourself by visiting the multi-designer brownstone in New York City throughout the month of May. For more on landscape architects’ latest work, head on over to their firm's website. Make sure to keep an eye out for our exclusive video coverage of this interview, coming soon to Tipster TV and our Facebook page.